How to map oil spills from Space? To accomplish these, two methodologies are presented presented based on satellite earth observation images. Also experiments using ground spectral measurements are used in order to build a Spectral Library and develop a model for thickness estimation. This textbook course is ideal for students and professionals either in the EO&GIS domain or in the environmental monitoring domain. In oil spill mapping! 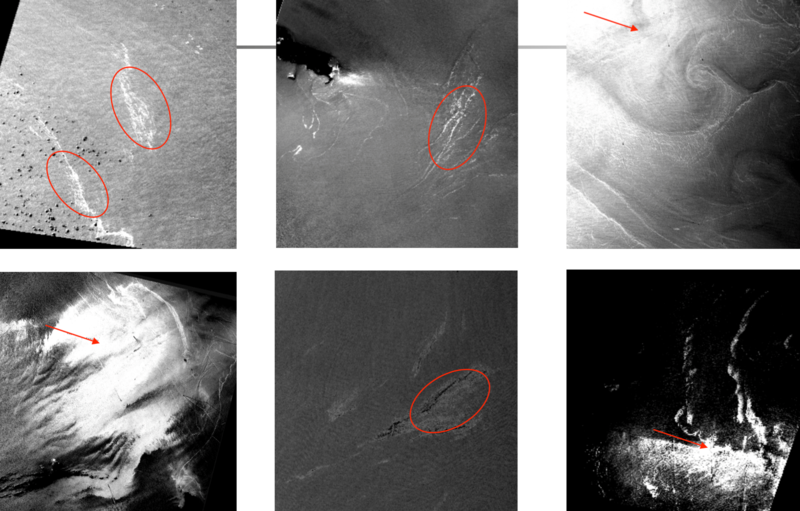 While Synthetic Aperture RADAR (SAR) are used operationally to map oil spills, optical remote sensing and especially hyperspectral remote sensing can not only map, but also identify the oil spill type and estimate the spill thickness over it's entire extent! Lesson 33: What data we need to approach the problem?